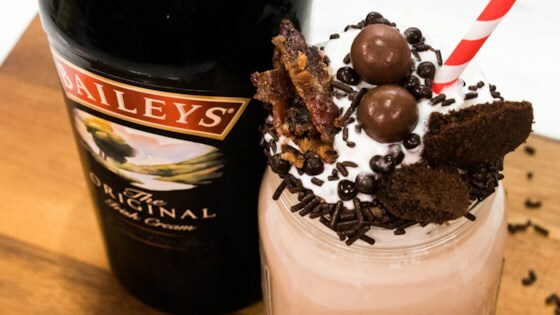 "What's more fun for a Girls' Night than a Baileys Milkshake Bar?!" Mix all milkshake ingredients in a blender and blend until frothy. Rim a Mason jar with chocolate icing and dip into your choice of toppings from the toppings bar. Pour milkshake from the blender into the jar - and complete with more toppings.